The original Nintendo 3DS is no longer the cheapest SKU for Nintendo’s current line of portable consoles as the company introduces the Nintendo 2DS. If you’re scratching your head upon reading the name of the console then you’re not alone 😀 According to the press release, 2DS is the Nintendo 3DS repackaged in a non-hinged body and without the 3D feature — thus it’s compatible with all 3DS and DS games along with all the functionality of the Nintendo 3DS (WiFi, local multiplayer, etc.). 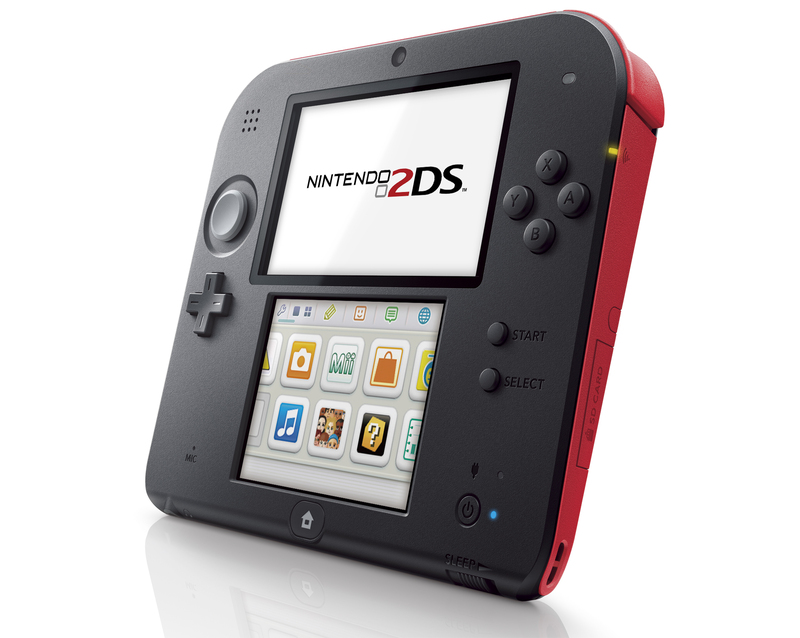 The main selling point of the 2DS? The price. Nintendo has the original 3DS priced at $169.99 and will be releasing the Nintendo 2DS at a much lower price point, $129.99. The Nintendo 2DS will include a 4GB SD card and uses the same power source as 3DS and older DS consoles. It also features the same dual cameras as the original 3DS and the 3DS XL and you’ll still be able to take 3D pictures, it’s just that you won’t be able to view them in 3D until you transfer to a capable unit. One other thing to note is that the 2DS only includes one speaker which may disappoint some — but likely not the kids who’ll be receiving this on the holidays. Stereo is available via the headphone jack. Despite the hardware limitations, it’s a great option for parents (and students) picking up a console for Pokemon X and Y as the 2DS will be available in North America for $129.99 on October 12th the same day it launches.